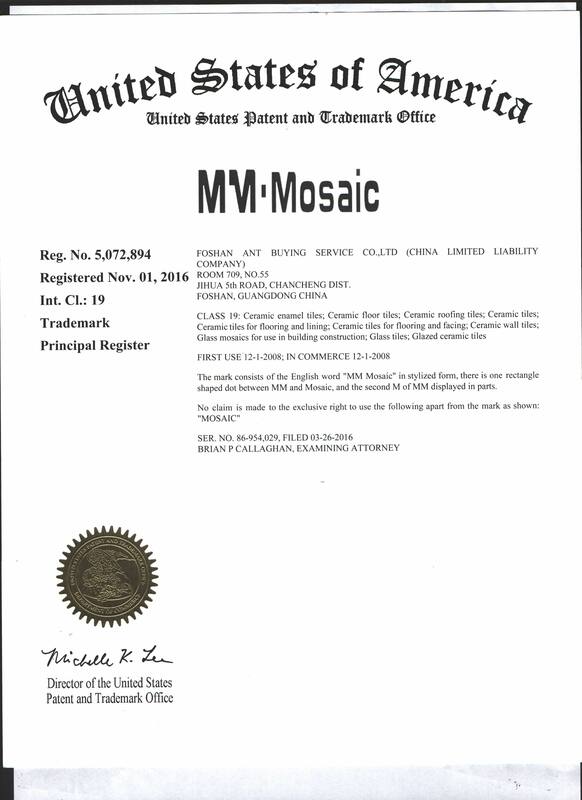 "MM-Mosaic" is a brand owned by "Foshan ANT Buying Service Co., Limited", which is registered in China mainland and Hongkong. "MM-Mosaic" focuses on supplying mosaic decor products with supper qualily, considerate service and resonable price to distributors, importers, projects and chain shops etc all over the world. 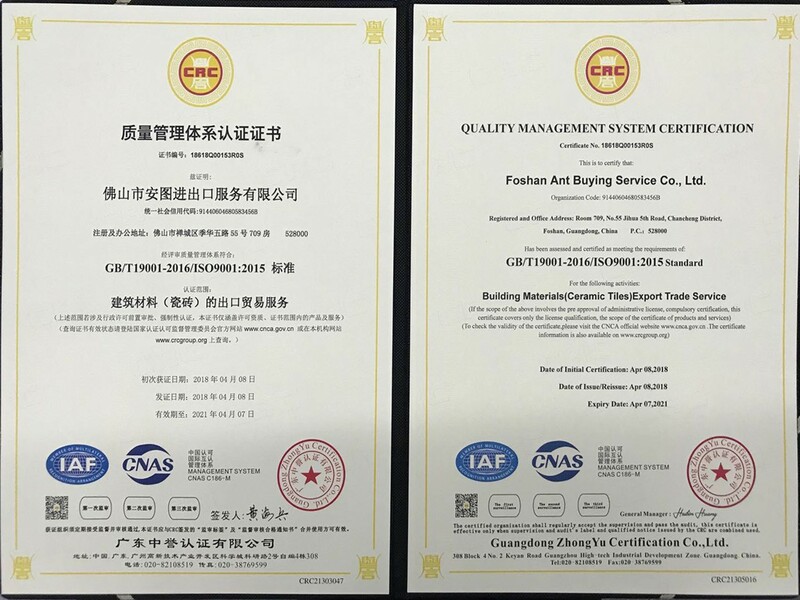 We invested 1 production base and accredit the brand to 3 cooperated factories. 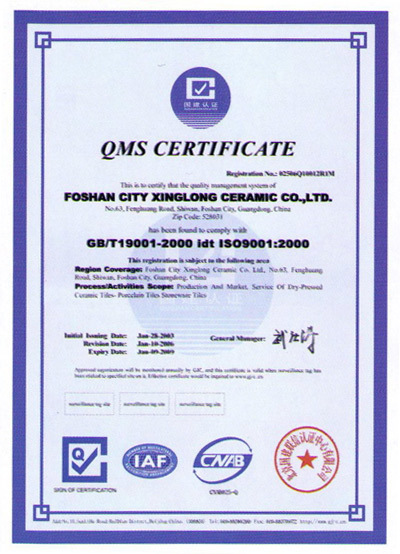 We have our own complete quality-control system. 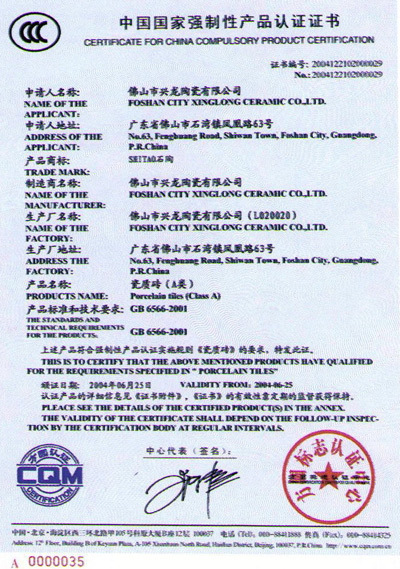 All exported products have been controlled and inspected in each step. Today we really hope we can set up long-term cooperation with new friends from all over the world and grow with them together. Client's praise is the best prize for us. Your inquiries will be replied as soon as possible. 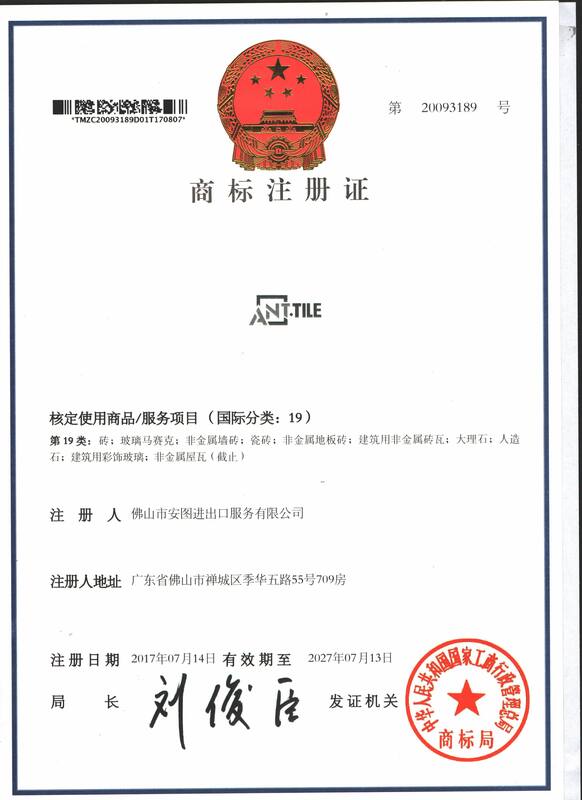 Issued by Guojian Lianxin Attestation Center Co., Ltd.
Production and market service of dry-pressed ceramic tiles, porcelain tiles and stoneware tiles.